Provide comfort for the family of Kenneth Isaac with a meaningful gesture of sympathy. 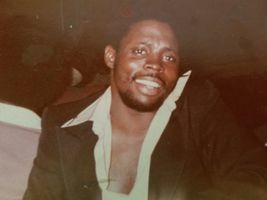 Kenneth William Isaac went home to be with the Lord on December 23, 2018, in Clifton Heights, PA due to heart complications. He was 62 years old. Kenneth was born on December 28, 1955, in Kings County Hospital, Brooklyn, New York to parents, William Henry Isaac Jr. and Katherine Armstrong. As a child he attended Benjamin Banneker (P.S.256) Elementary school, Mark Hopkins(I.S.33) Junior High School and he graduated from Eastern District High School. As a teenager Kenneth worked in the restaurant business which he loved. He was intelligent beyond his years, always thinking of ways to earn money to contribute to the household. Kenneth worked for Jobs Corps for a number pf years helping a generation of teenagers and young adults; inspiring them to be creative and to strive for their life goals. As a young man he was he was very active, attending numerous social events that fought for humans and civil rights. He was a passionate and outspoken activist. Later in life he worked as a mortgage broker for a number of years helping people to acquire homes; he was excellent in his field. Kenny as we called him, loved his family and friends. Although he lived a good distance from New York he rarely ever missed a family gathering. His family was his greatest joy, especially his nieces and nephews. He was devoted and fiercely protective of his family. He was a unique man with a good sense of humor and a quick wit. Few people could out think him. he will be remembered as a great brother and friend. He was loved and will be greatly missed by us all. Kenneth is survived by his brothers Kevin Clifford Isaac, Terrance McCall, Ronald McCall, sisters Kerri McCall, Mildred Patricia McCall, Paula Isaac Johnson and Cynthia Isaac. Nephews Javonn Armel Wilson, Collin Maxwell McCall, Kyle Anthony McCall, Justin Regis McCall, Chase Adrian Matthews , Aaron Kevin Isaac and Christopher McCall. Nieces, Amanda Felicia Purvey, Bria Noelle Samuel, Karyn Ashley McCall, and great niece Brienna Antoinette Johnson. he was preceded in death by his father William Henry Isaac Jr., mother Katheryn Armstrong McCall and his sister Karen Ann Isaac. To send flowers in memory of Kenneth William Isaac, please visit our Heartfelt Sympathies Store.